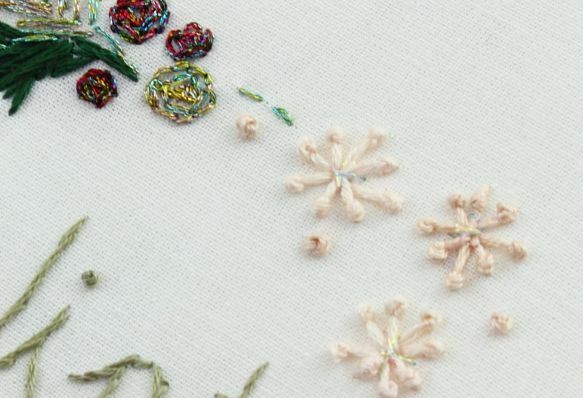 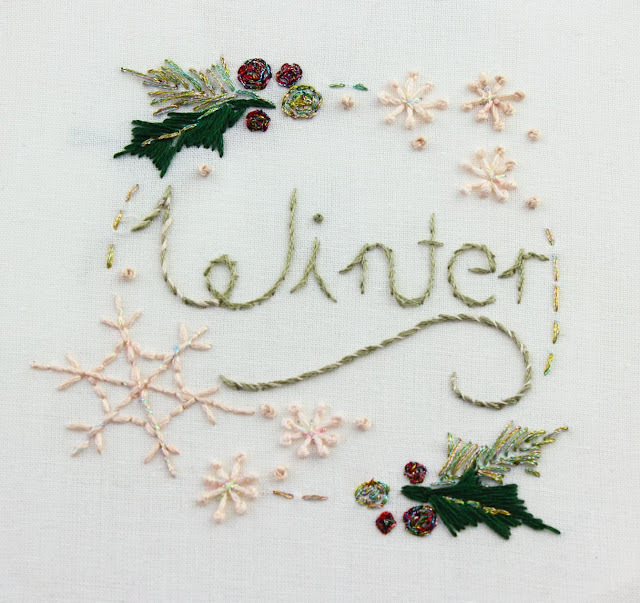 The list of stitches that I used on this project is as follows: the small snowflakes are made with the Pistil Stitch, the berries and the large snowflake are Back Stitch. 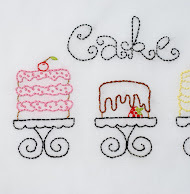 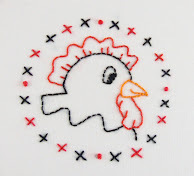 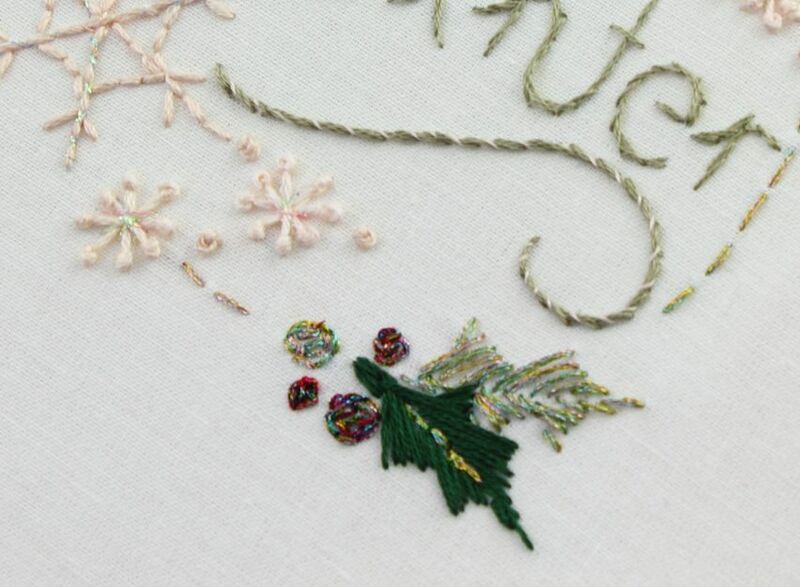 The text and flourish line under the text are done with Stem Stitch and Whipped Stem Stitch. 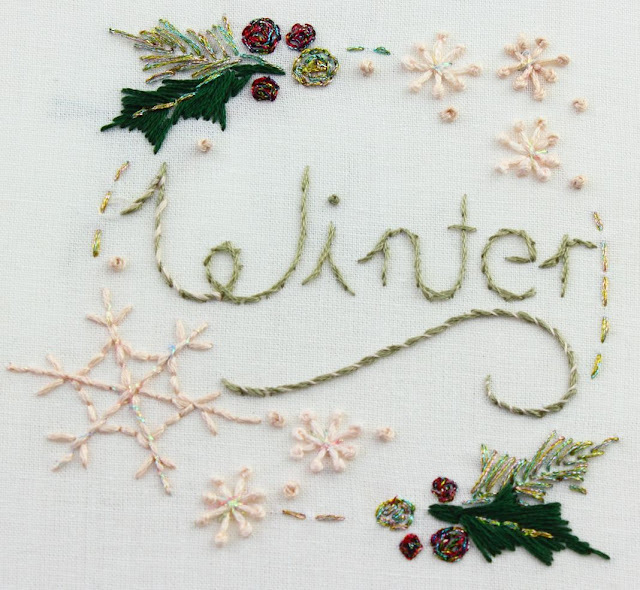 The leaves are done with Fishbone Stitch, the frame is done with Running Stitch and the whole motif is dotted with French Knots.